Take I-271 to Mayfield Rd. 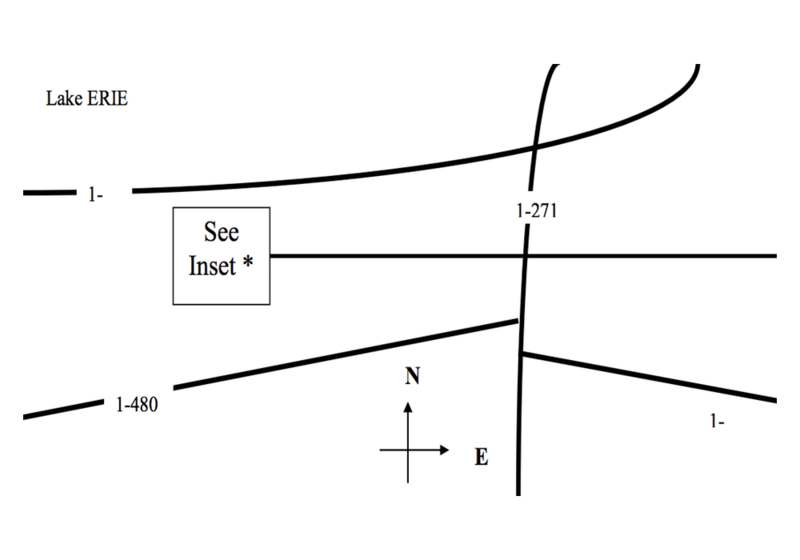 (Rte 322) and exit west towards Mayfield Heights. 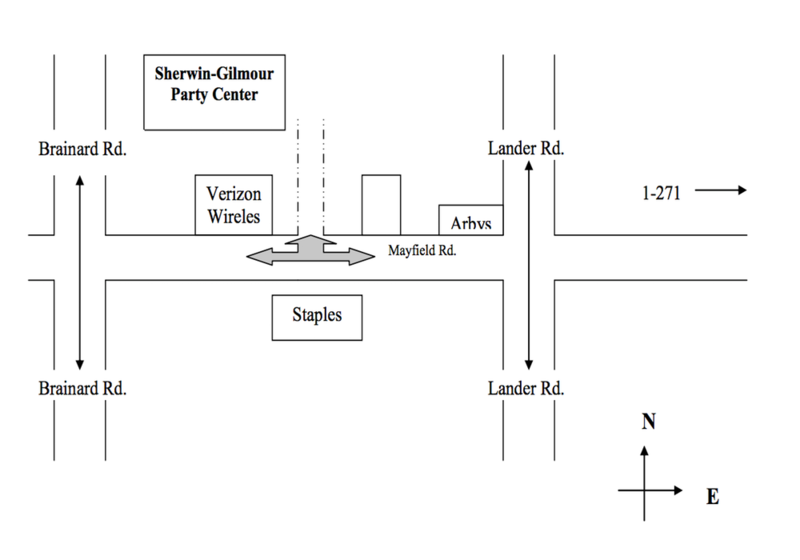 The Sherwin-Gilmour Party Center is apporximately 1 mile west of I-271 on the North (right hand) side of Mayfield Road when exiting off the freeway. The building is located directly behind the Verizon Wireless building. See the map below for more details.